Ah the Jade Crystal Face Roller. It’s only today that I’ve got the time of day to write my honest to goodness thoughts. Do you really need a fancy shmancy jade roller? Or is it another skincare trend we can say “PASS!” to? 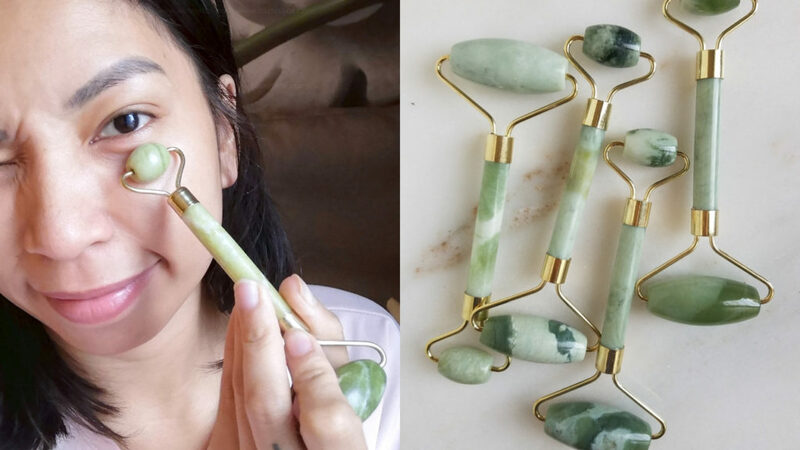 What is a Jade Crystal Roller? eliminate toxins, and tighten and reduce pore size. Basically it’s a dual-ended tool with a 2 sized rolling jade crystal on each end. The smaller end for the eyes and smaller contour parts of our face, the other one for the rest of the facial area. The jade crystal has a special quality of staying cold even in contact with our skin. So it helps tighten our pores. 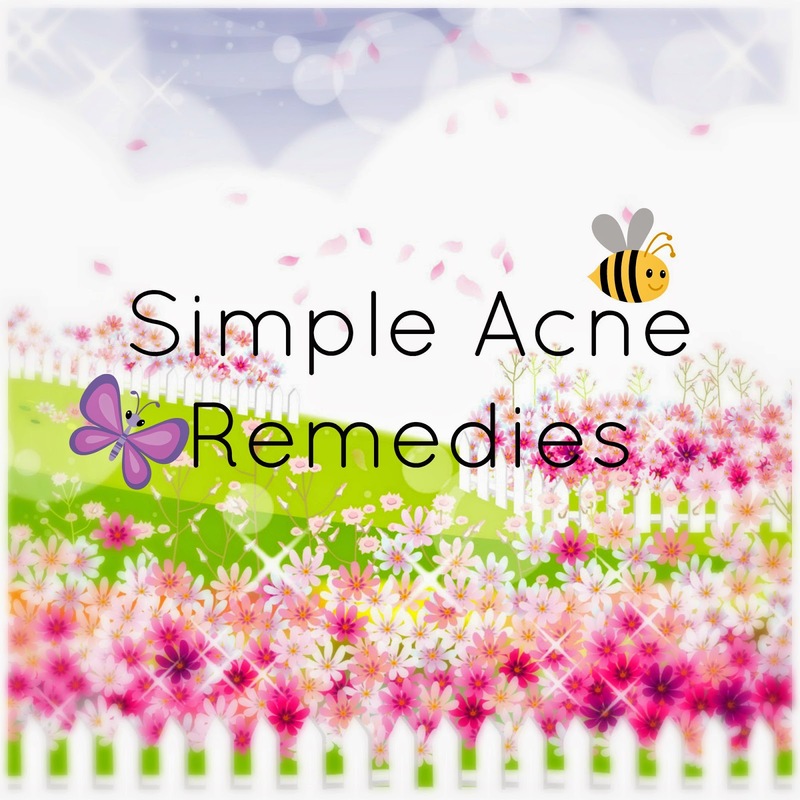 Traditionally they are used to flatten wrinkles on the face and clear fluid congestion. Jade is a semiprecious stone that it remains cold while in contact with the skin and this helps to close the pores and tighten the skin. The most useful function is that they increase lymphatic drainage. 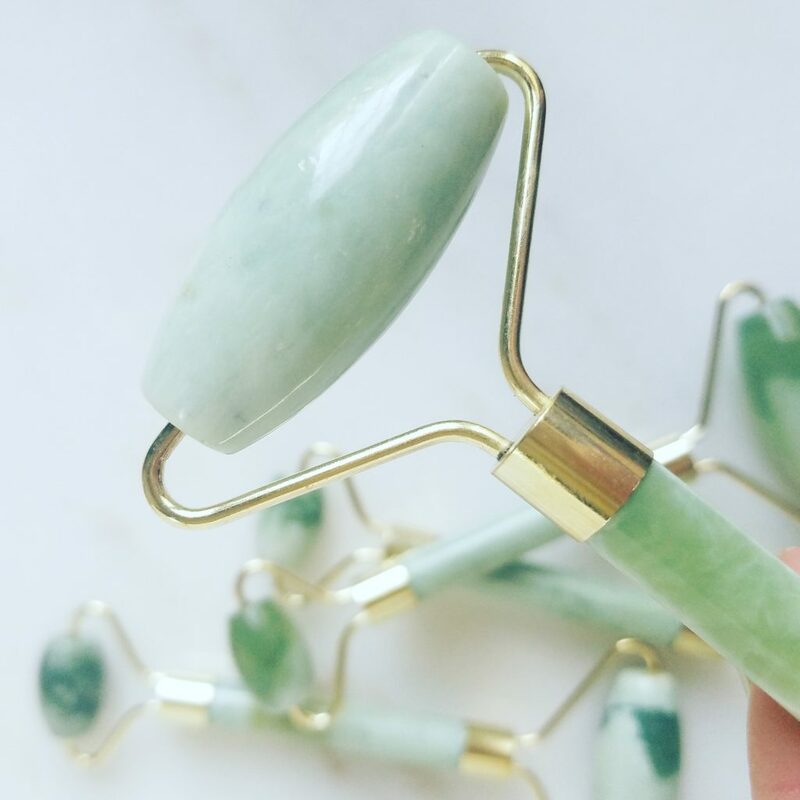 Combined with the rolling action, the jade roller works to tone up facial muscles, increase circulation, stimulate detoxification by lymphatic drainage and aid absorption of your skin care. Using one of these on a daily basis will soon leave your face feeling firmer, smoother and looking clearer, while also working wonders for under-eye puffiness and dark circles. 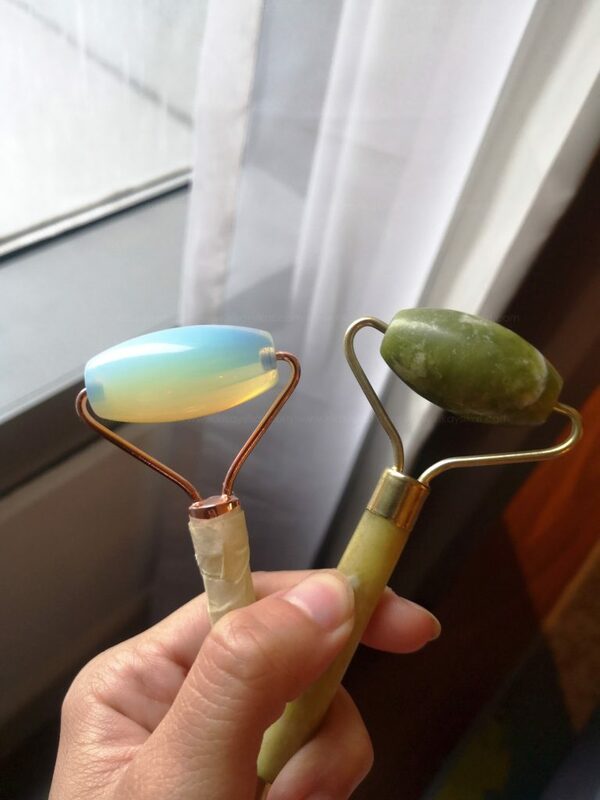 How to Use a Jade Crystal Roller? There are two different ways to use the roller. One is in a gentle downward movement. This is detoxifying and stimulates lymphatic drainage. The second, is in a more vigorous and rejuvenating upward movement. 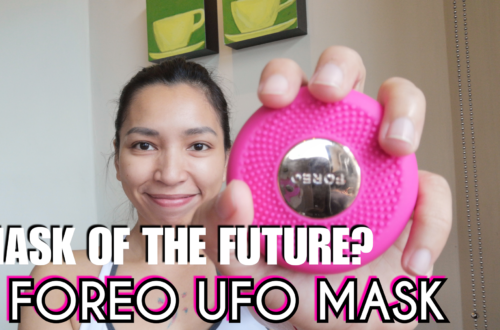 This stimulates circulation and oxygenates the skin. YES. YES. YES. This tool has been a staple in my skincare routine for months now. Main reason is that it does work on de-puffing my eyebags and swollen puffy face. Especially when I go overboard with salty food that causes unflattering water retention on my cheeks. 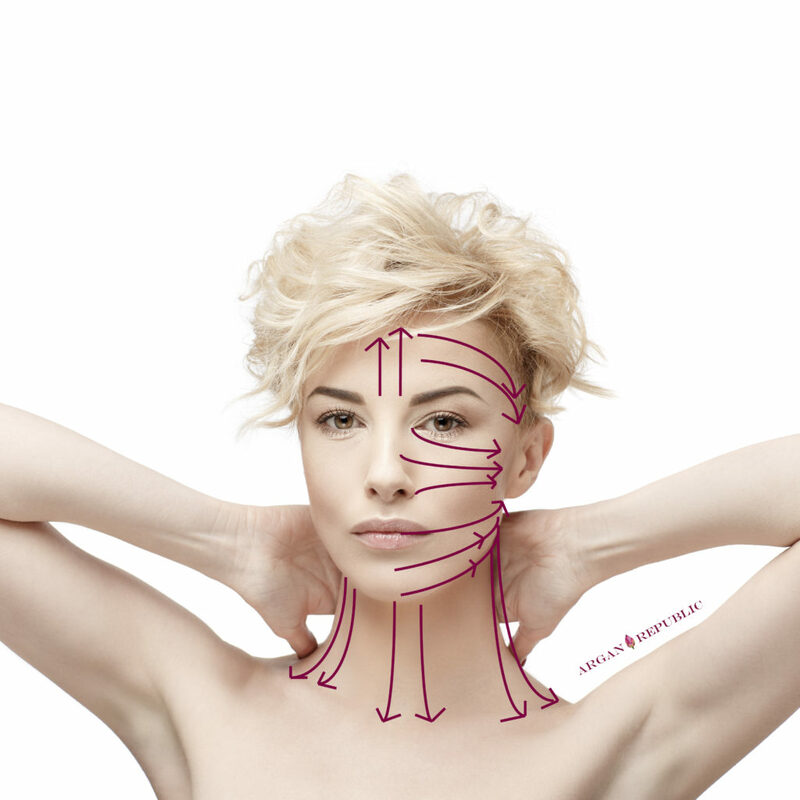 It’s a natural way to get that “V-Shaped” face most people are aiming for. Because it’s so effective in detoxifying our lymphatic drainage, there’s also less occurrence of cystic pimples on my face. The splurge is worth it because despite the steep price, you can use your jade crystal roller forever and ever. I clean it with a towel rinsed with mild soap and water then I let it air-dry.